The Biology and Biochemistry Excellence Fund allows the department to have direct and immediate impact on UH undergraduate and graduate students, programs, and faculty that are not funded through state support. These funds can be used for faculty and student travel to competitions and conferences, classroom and research equipment, special lectures, and program support. 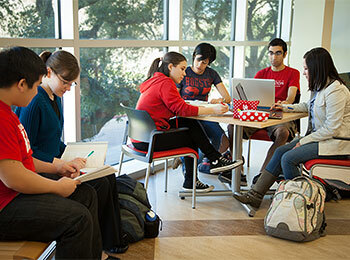 Scholarship support for undergraduate students is often the deciding factor for an incoming freshman or transfer student in selecting the University of Houston over another institution. With this support, students can reach their goal of an education while focusing their energies on their studies. 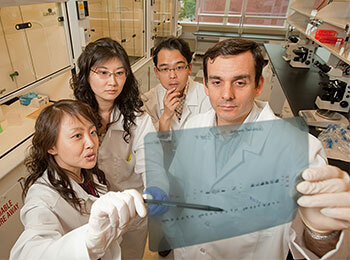 Graduate fellowships provide funds to Doctoral students in the Biology and Biochemistry Department. These students are investigating problems in the life sciences under the tutelage of our faculty, the solution of which may reveal basic biological mechanisms and may also impact the energy and environmental arena. Gifts for graduate fellowships help us to recruit and retain top graduate students—one of our Tier One Initiatives! The Biology of Behavior Institute (BoBI) is comprised of UH faculty from three colleges who are interested in researching the proximate causes of behavioral variation. From studying prey and predators in coastal salt marshes, to researching male courtship in fruit flies, or mechanisms of protein that cause brain degeneration in neurodegenerative disorders, our team of researchers work to discern the causes of behavioral changes in relevant ecological contexts. Higher education is incomplete without world-renowned faculty and research, and the Department of Biology and Biochemistry has outstanding faculty who are known around the globe for their research accomplishments. As examples, Stuart E. Dryer, the John and Rebecca Moores Distinguished Professor in the Department of Biology and Biochemistry, was recently elected a Fellow of the American Society of Nephrology, a recognition that honors physicians and scientists who have distinguished themselves through excellence in practice and research. Another biology professor, Steven Pennings and his graduate student Brittany DeLoach McCall are collecting samples of marsh bugs along the Gulf marshes that were affected by the Gulf oil spill. Their goal is to learn more about the long-term consequences of the oil spill on these insects that form a vital part of the food chain. But it often takes additional funding to accomplish these results. Research support allows faculty to pay for special items that are not funded through private and public grants or state funding--such as travel to professional conferences to report research findings, specialized research equipment or supplies, and research personnel. A gift to this area will help us make more discoveries and achieve more international recognition. The University of Houston Coastal Center is the only field station for the University of Houston and the only biological and environmental field station owned by any university within the greater Houston metropolitan area. 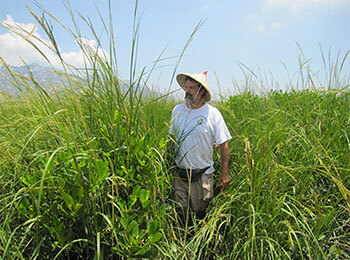 It provides a unique and essential facility for faculty from the area doing biological and environmental research and field education, because it provides access to an endangered natural habitat (pristine coastal prairie) within a large area of land (~1,000 acres) where equipment and experiments can be safely deployed. Boasting over 200 acres of pristine coastal prairie, the field station is used for research in prairie and coastal ecology, evolution, geoenvironmental studies and geophysics, micrometeorology and air quality, and behavior of wildland fires. The facility supports graduate and undergraduate education and public outreach through research projects, field courses, and public tours. Please go to the online giving page and select General Institutional Support: UH under both school and department, then select Houston Coastal Center under designation.